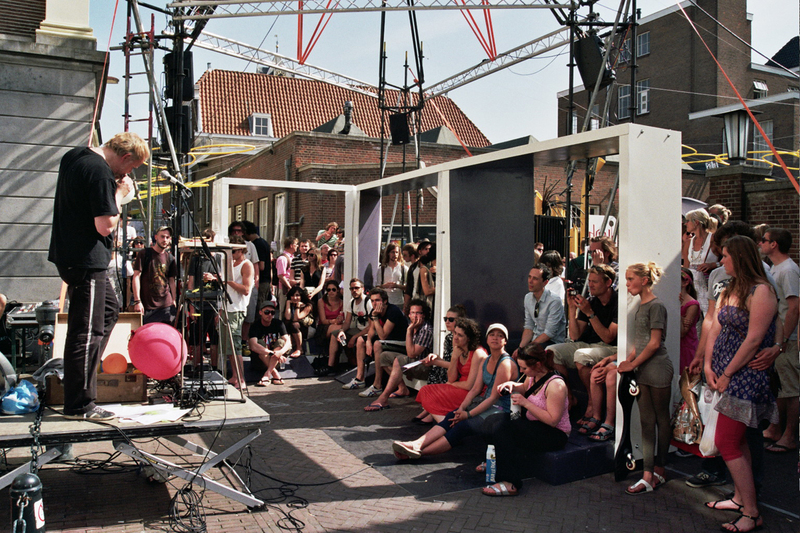 Designed as a spatial installation for the streetart Blikopener Festival in Delft, the main programmatic functions of the TASgram pavillion are to provide basic seating and stage elements on the street. 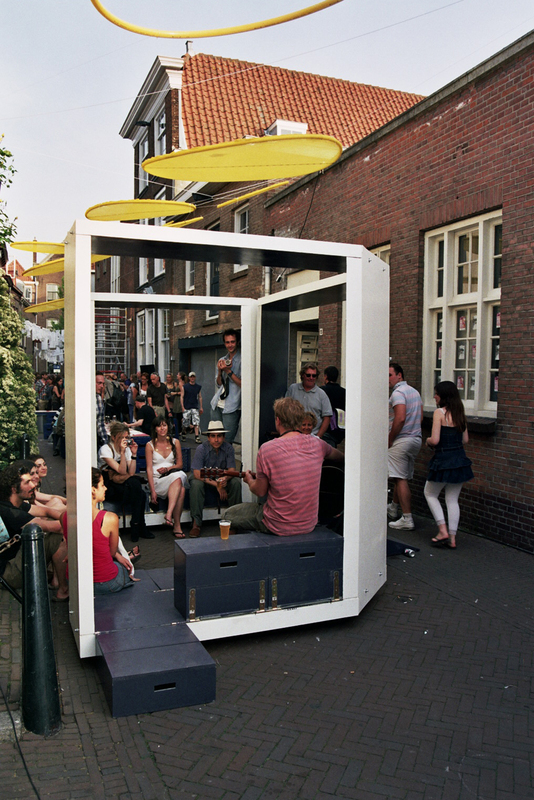 Since the festival is held in the streets of the old city-center of Delft, the TASgram facilitates the framing and reconfiguration of the existing public space and allows the festival visitors to appropriate the streets. Each element has a unique function and can be combined with each other to create a cinema, theater, bar, or lounge. 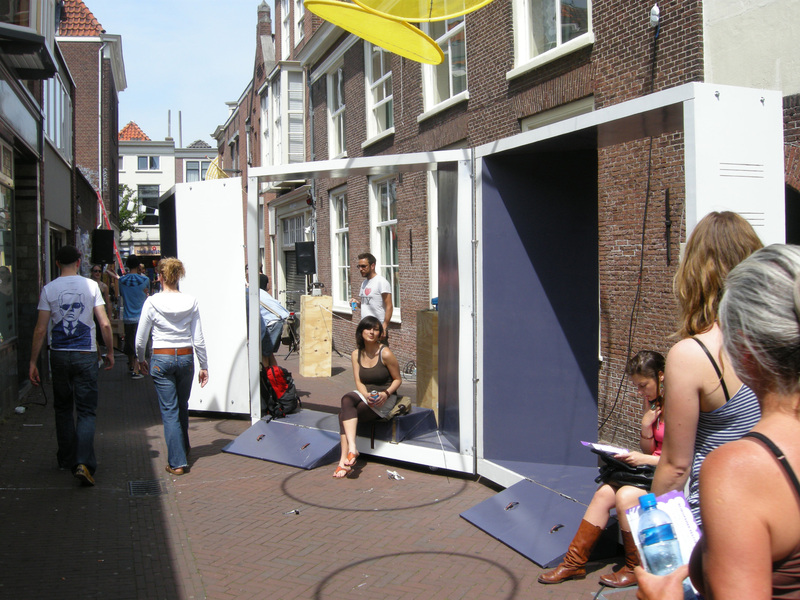 Visitors of the festival are challenged to come together with performing artists and reconfigure the streets of Delft by arranging the pavillion in different configuartions, corresponding to different spatial situations in the streets. Visitors of the festival are challenged to come together with performing artists and reconfigure the streets of Delft by arranging the pavillion in different configurations. 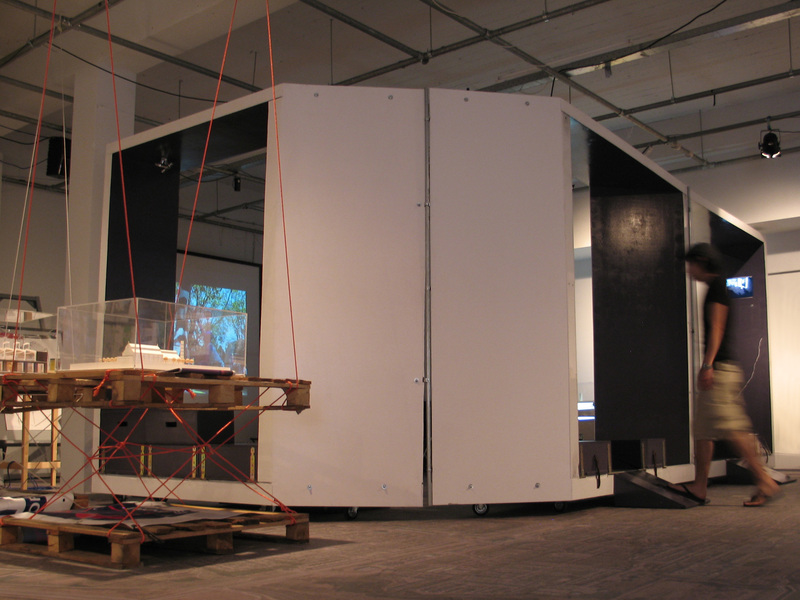 Since the Blikopener Festival 2010, TANgram featured at the ‘Day of Architecture 2010’ in an exhibition at the Delft Architecture Center TOP and supported the booklaunch of the Border Conditions research studio at TUDelft. TASgram is a collective project of the Temporary Architectural Strategies group and was designed and built by architects Marcello Fantuz, Siebe M. Voogt, Simone Valerio, industrial designer Connie Yeh and Lagado’s Victor Verhagen, with the help of a group of friends and volunteers.